In 1986 I met Patrick Wall, a Greenpeace activist with a passion for direct action. 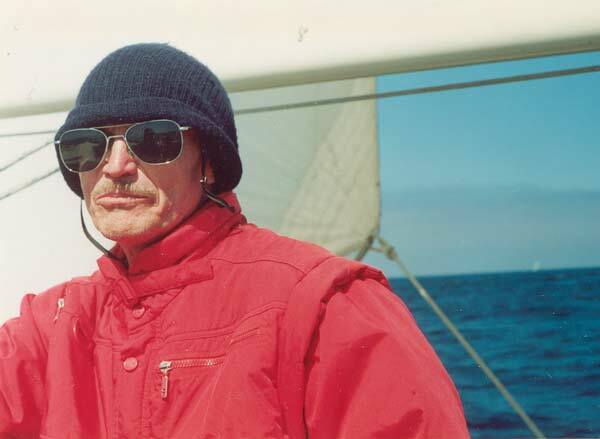 He scaled smokestacks to protest acid rain, spent three months in a Japanese jail for freeing dolphins and sprayed baby harp seals green in Newfoundland to sabotage the fur trade’s annual seal hunt. Patrick was the real deal. In 1984 Patrick and his partner, Janet Bridgers, founded Earth Alert, a nonprofit agency dedicated to educating the public about environmental issues. Patrick Wall sailing into action. Photo: Earth Alert! 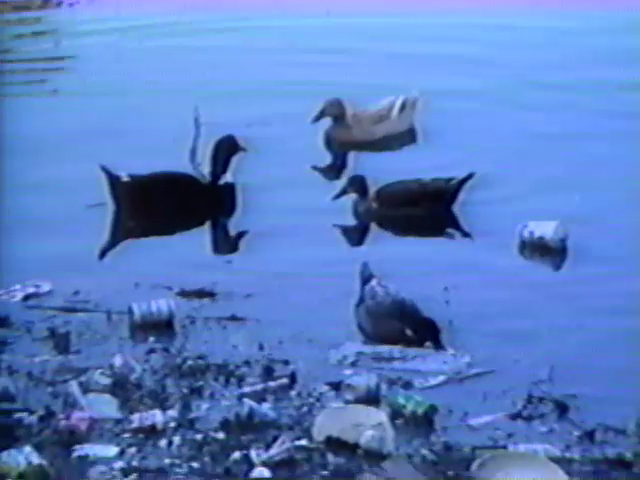 We teamed up to produce several programs for local cable television, including Dark Waters, an Emmy winning documentary that exposed the human health risks of water pollution in Marina del Rey, California, and the failure of local government to address the problem. On stage at the Emmy Awards at the Pasadena Civic Auditorium in May 1988, Patrick thanked the city and county of Los Angeles for providing the “raw material” for the documentary. Public pressure following the release of the documentary prompted Los Angeles officials to promise to clean up the harbor. But a 2009 study revealed that Marina del Rey was still the most toxic harbor in California more than two decades after we first reported on the problem. Heal the Bay says the overall health of the public beach at Marina del Rey has improved since 2015 but it still scores an “F” on the group’s weekly report card in the winter. Dark Waters was co-produced by Daal Praderas, who narrated the program. Adam Yurman, guitarist for the Al Stewart Band, composed and performed the score. Patrick Wall died March 1, 2014 at the age of 69. My name is Rim Fay and until now had not seen this video. I am saddened to hear that Patrick is no longer with us. I’m glad to hear that he won an award for helping bring attention to the water quality of the marina and the Bay! Thank you for sharing the video today.